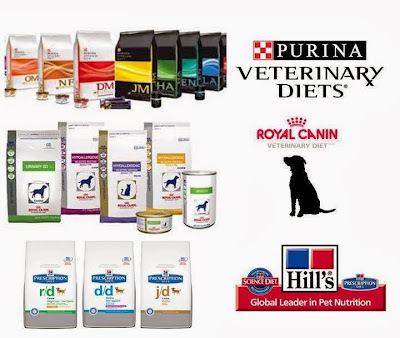 4.0 Prescription Dog, Cat Food – a Solution or a Health Threat? Did you know that ear infections are now (and have been since 2012) the foremost non-life-threatening reason for a visit to the veterinarian’s office? This article will assist you in understanding why your dog or cat gets an ear infection; why the condition may have become a chronic issue for your dog or cat, and what to do to naturally treat and remedy the ear infection and the root cause or the condition – not just temporarily treat the symptom. There are many reasons why a dog or cat develops an ear infection. The list below will provide you with an overview of types of ear infections and causes. Before we look at the list of cause and type it is important to note that if your dog or cat is on a diet that truly and fully supports a strong immune system and good overall health your dog’s or cat’s chance of acquiring any type of ear infection dramatically decreases. Without any doubt the root cause of most illness is inappropriate ingredients in food and overall diet which can be compounded by exposure to environmental toxins. Conversely the solution to avoiding illness is a good diet. Hence the importance of checking your dog’s and cat’s ears on a weekly basis to ensure his/her ears are clean. If you have a puppy or kitten make sure you get them accustomed to having their ears touched, failure to do so can result in behavioural issues (i.e. bite reactivity) around the touching of his/her ears later in life. You can read this article to understand how you can inadvertently create stress and tension during grooming – from ear cleaning, to brushing fur and teeth to bathing and nail clipping. 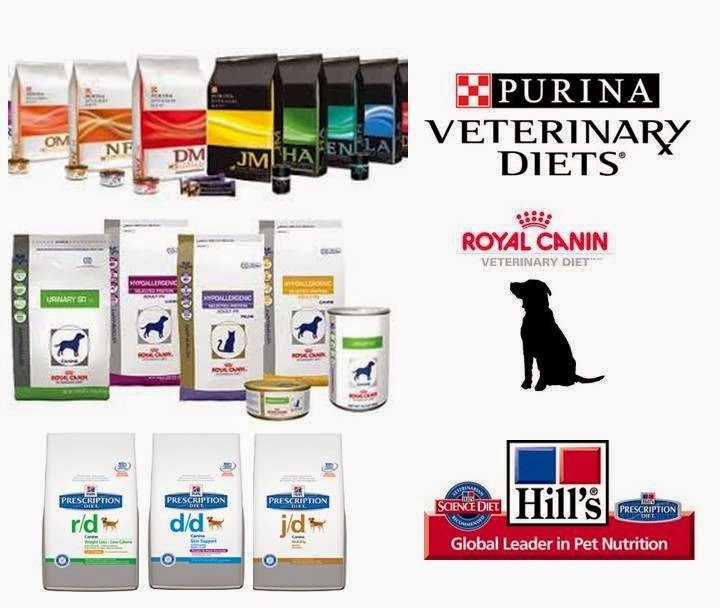 Dog and cat health care products such as dental chews, toothpaste, shampoos and rinses, off the shelf and veterinarian prescribed chemical-based insect and parasite preventatives etc. Ear mites are tiny spider-like insects that like to infest the ears of dogs, cats, rabbits and other small animals. Although mites prefer the ear canals they can also live elsewhere on the animal’s body. Mites thrive in the moist warmth of the ear canal. They burrow into the ear, casing irritation and inflammation. The animal’s body responds to the attack by producing excess ear-wax. The ear mites feed on epidermal debris and ear wax. Particulate blowing about in the wind can impact and lodge into the ear canal. This can occur when for example a dog sticks his/her head out the window of a quickly moving vehicle. 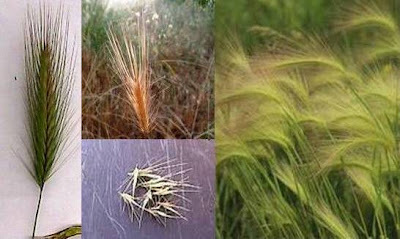 Hard seed bearing grasses are often referred to as ‘Fox Tails’. It is important to note that persistent scratching and/or head-shaking can lead to a secondary condition called an Aural Hemotoma. Less intrusive procedures such as draining the blister with a needle or small tube can also be done – however the blister will usually refill with blood in a matter of hours or days. Most allopathic veterinarians prescribe antibiotics for ear infections. Antibiotics can be very useful when used in the right situation however antibiotics have become the most over-prescribed conventional medication used today. Conventional western medicine is designed to deal with health emergencies. When drugs that are designed to deal with an emergency situation are indiscriminately applied to non-emergency situations grave results can ensue. Addressing the infection topically and ingested with herbs and nutraceuticals may also be an option – the problem is that the majority of allopathic veterinarians do not know how to do anything but prescribe conventional drugs – so antibiotics become the mainstay even in situations where an alternative approach could have been equally or more appropriate. The veterinarian will then prescribe another type of antibiotic – which the dog or cat will also develop an immunity to. Over prescription leads to additional adverse health impacts. Bacteria are highly adaptable microorganisms and overtime and exposure to repeated doses of antibiotics bacteria mutate in order to adapt and survive. As the dog or cat is exposed to more antibiotics the bacteria that they are hosting undergo this adaption process, each time this occurs immunity to a specific antibiotic is created. The more the bacteria adapt the better they get at adapting. Once bacteria have adapted to a series of antibiotics, antibiotics are no longer effective. The antibiotics are no longer effective. If your dog or cat ends up in a truly life threatening situation where antibiotics are required to save that animal’s life your animal’s life is in great jeopardy. If your dog or cat is on a diet that includes meat from non-organic sources your dog and cat is already ingesting antibiotics from the meat he/she is eating. Animals raised on factory farms (concentrated animal feeding operations – CAFO) are fed food that includes antibiotics. When the animal is slaughtered antibiotics remain in the flesh of the meat which is then consumed by your dog or cat. Between the antibiotics passed on through the meat and over prescription of antibiotics by veterinarians your dog’s and cat’s rate of acquiring immunity to antibiotics increases exponentially. Antibiotics destroy both good and bad bacteria in the gastrointestinal tract (GI Tract). The destruction of good bacteria causes a suppression of the immune system leaving your dog’s or cat’s natural defence against bacteria, fungal infection, parasites, and viruses in a weakened state. The GI tract is also the body’s major center for serotonin production. 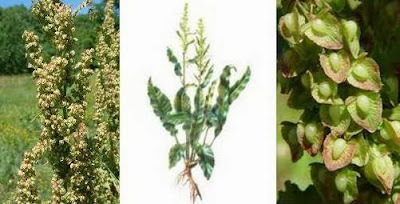 The death of good flora has a negative impact on serotonin levels. This can result in creation or heightening of anxiety and stress. Administration of antibiotics can actually make the ear infection worse and as well trigger and create other health issues. In addition to placing your dog’s or cat’s future health at risk, the root cause of the infection has not been identified or addressed making the chance of re-infection inevitable. For all of the above reasons it is very important that antibiotics only be used when absolutely necessary. Solution or a Health Hazard? If the root cause of the ear infection is food allergies and your allopathic veterinarian prescribes prescription dog or cat food beware. Your dog’s, cat’s health may be placed in further jeopardy as many allopathic prescription foods are actually not health supporting. In fact many allopathic veterinarian prescribed ‘anti-allergen’, ‘limited ingredient’ diets contain toxins that are known allergy triggers – an example of this can be found here. These diets also tend to be inflammatory as the bulk of the ingredients are carbohydrates – often genetically modified corn and soy and/or other grains, inexpensive fillers and fibre such as cellulose (wood pulp), etc. These foods can also be dangerously low in protein and what protein they do have can be of very questionable quality – the same can be said for the fats used in the food. Ongoing maintenance – put a regime in-place to check and clean the ears on a regular (i.e. weekly, bi weekly) basis. If you need to warm the solution up to room temperature simply take the solution, place it in a vial, dropper, small glass or bowl (dropper with the open end up) and sit the vial, dropper, glass or bowl in a larger vessel (glass or bowl) that contains a little warm water – this will warm the solution up quickly. If you need to use a cotton swab to clean more precisely – never put the cotton swab past the portions of the ear that you can readily see…do not put the swab into the ear canal – you can very easily damage the ear drum either temporarily or permanently! When treating ear infections make sure that you apply the drops 2 to 3 x per day. The number of drops suggested for each flush is a typical dosage – however if your dog or cat is very small, i.e. 4 lbs, use less drops, if your dog is 150 – 200 lbs you will need to use more drops. Some of the following Ear Flush Recipes call for tinctures. Tinctures are readily available at most health food stores and on-line. Excellent for treating yeast infections (candida) of the ear. If there is no broken skin or lesions you can use the ACV undiluted. If the skin is broken make sure you dilute the ACV with distilled water as indicated below. Don’t use pasteurized apple cider vinegar such as Heinz’s pasteurized apple cider vinegar – a product typically found on grocery store shelves. Pasteurized vinegar does NOT have the medicinal properties present in organic unpasteurized, unfiltered ACV. To understand how to discern between the two types of ACV you can read here. 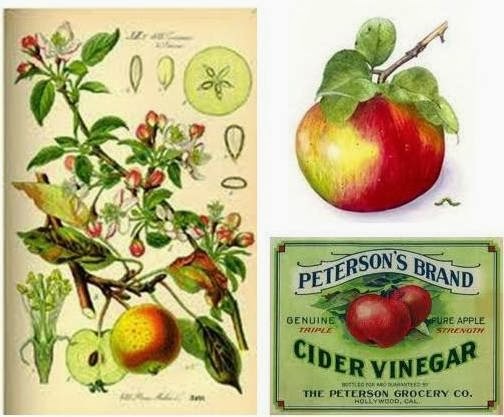 Organic Apple Cider Vinegar (ACV) has anti-bacterial, anti-fungal and anti-viral properties (primarily from the acetic acid and malic acid in ACV). In addition to falling short of providing medicinal properties pasteurized regular ACV is high in pesticide residue. Much of the pasteurized non-organic ACV produced in North America is made from apples imported from China where the amount of toxic pesticides and herbicides used on apples is even greater than in North America. Pesticide and herbicide application in China is also poorly if not completely unregulated in many regions. Gently rub/massage the ear in a circular motion, then remove your hand and let your dog/cat shake his/her head. If you would like to know more about the many beneficial uses of ACV for your dog or cat read here. ACV can be added to your dog’s and cat’s daily diet – provided that you adhere to the correct product and dosage. My dogs get organic ACV with their meal once a day on a daily basis. 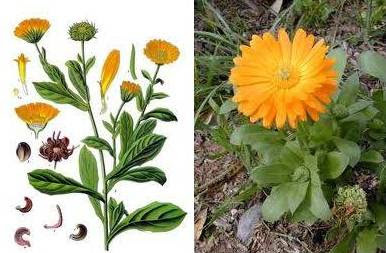 Calendula has excellent anti-fungal properties. It is also very effective in promoting the healing of wounds. 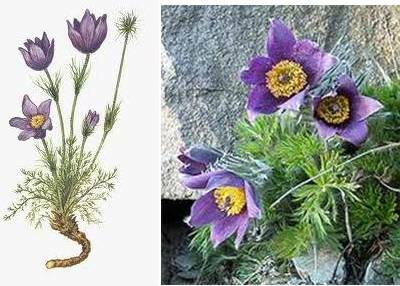 This ear flush may also be expanded to include several drops of Meadow Anemone (Pulsatilla nigricans) tincture. Garlic is a natural broad-spectrum antibiotic. The active antibiotic agent in garlic is allicin (a sulfur compound). Allicin is produced when garlic is chopped, chewed or bruised. Garlic also has many other health promoting properties including antioxidant, anti-allergen, anti-fungal, and anti-carcinogenic properties. Make sure the oil is warmed up to room temperature. With a syringe or dropper, gently drop several drops of the oil into your dog’s/cat’s ear – make sure that the syringe is located at the entrance to the ear canal – the syringe should never be placed inside of the ear canal. Gently rub/massage the ear in a circular motion, then remove your hand and let your dog/cat shake his/her head. You can use a cotton ball to gently swab any excess oil off the inside of the ear flap. 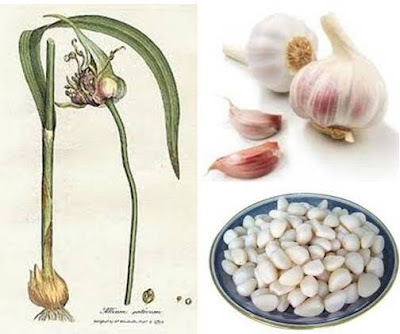 To learn more about the many health benefits of garlic you can read here. Garlic can be added to your dog’s daily diet to boost his/her immune system – provided that you adhere to the correct preparation and dosage. My dogs eat fresh garlic on a daily basis. Garlic should not be ingested by cats. 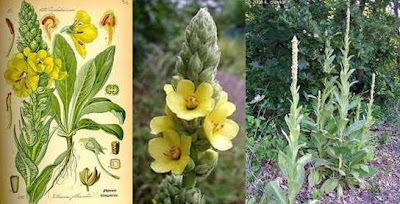 Mullein has anti-microbial and anti-viral properties. Garlic is a natural broad spectrum anti-biotic. Add 10 to 20 drops of olive oil, almond oil or vitamin E for every one ounce of garlic/mullein oil mixture. With a syringe or dropper, gently drop about 10 drops of the liquid into your dog’s/cat’s ear – make sure that the syringe is located at the entrance to the ear canal – the syringe should never be placed inside of the ear canal. This ear flush may also be expanded to include a small amount of Meadow Anemone (Pulsatilla nigricans) tincture. Silver is a natural and powerful broad spectrum antibiotic agent and speeds healing. Silver has excellent antiseptic, anti-fungal and disinfectant properties. If you would like to know more about the many beneficial uses of Colloidal Silver for your dog or cat read here. 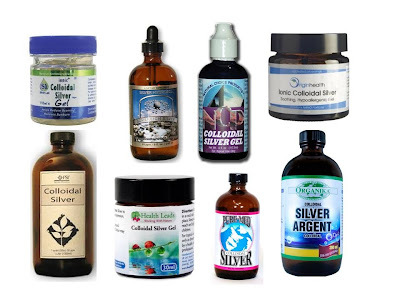 Colloidal Silver can also be used as an ingested treatment to help fight infection provided that you adhere to the correct protocol and dosage. Oregon grape has multiple properties that help to combat an ear infection and/or an infestation of mites. These beneficial attributes include – antibacterial, anti-fungal, antimicrobial, anti-inflammatory and antioxidant properties. 1 teaspoon Oregon grape tincture. Add two tea bags (or two teaspoons of green tea) to 8 ounces of boiling water. Allow the tea to steep and cool. Apply ½ of a dropper (about 10 drops) twice daily to irritated ear. Make sure that the dropper or syringe is located at the entrance to the ear canal – the syringe should never be placed inside of the ear canal. Gently rub/massage the ear in a circular motion, then remove your hand and let your dog/cat shake his/her head. Add one tablespoon of dry yellow dock to ½ cup boiling water. Allow the tea to steep and cool. Once the tea is cool, strain it so that the fluid is clear and free of particulate. Apply ½ of a dropper (about 10 drops) twice daily to irritated ear. Make sure that the dropper or syringe is located at the entrance to the ear canal – the syringe should never be placed inside of the ear canal. Gently rub/massage the ear in a circular motion, then remove your hand and let your dog/cat shake his/her head. see 6.2.2 above for recipe. see 6.2.3 above for recipe. see 6.2.4 above for recipe. see 6.2.5 above for recipe. see 6.2.6 above for recipe. Yellow dock is an astringent, anti-inflammatory, and purifier. This combination of medicinal properties make yellow dock an excellent choice to eradicate ear mites while soothing inflammation and itchiness. If your dog/cat is prone to ear mites you can use this recipe to shampoo your pet’s head, ears and tail once a week. 1 tbs of distilled water. Apply ½ of a dropper (about 10 drops) once daily to irritated ear. Make sure that the dropper or syringe is located at the entrance to the ear canal – the syringe should never be placed inside of the ear canal. Gently rub/massage the ear in a circular motion, then remove your hand and let your dog/cat shake his/her head. Repeat the treatment once every three days for up to three weeks. Strain the resulting liquid to remove lemon pulp and seeds. Apply ½ of a dropper (about 10 drops) once daily to irritated ear. Make sure that the dropper or syringe is located at the entrance to the ear canal – the syringe should never be placed inside of the ear canal. Gently rub/massage the ear in a circular motion, then remove your hand and let your dog/cat shake his/her head. 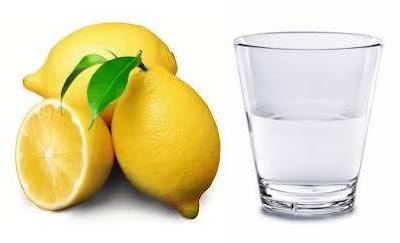 Lemon offers many other health benefits and uses – you can read more here. For regular cleaning of the ears you can use any of the ear drop recipes provided in section 6.2, 6.3 and 6.4 above. Remember that diet – listed and hidden ingredients are the #1 trigger for chronic ear infections. Make sure your dog and cat is on a daily diet that truly supports a healthy immune system. A good diet is the best defense against infection, parasites and helps to speed healing. Herbs and nutraceuticals should be incorporated into the diet to support treatment, remedy and ongoing long-term daily health. Chronic infections CANNOT be resolved using topical treatment only – the root cause of the infection MUST be addressed. Review of every aspect of the existing diet, existing health care regimen and design of a new diet, health care regimen is essential to remedy chronic ear infections. Hi, how right you are in saying antibiotics are over prescribed. My poor old boy was horrifically abused for 7 years before l got him, to the extent they cut most of his ears off. This has led to multiple infections Yeast) and external ulcers, the vets over the past few years have prescribed every antibiotic on the market and still we have the same problem. I am now at my wits end on what to do next but have maintained in keeping the ear and the ulcers clean, have tried the cider vinegar recipe (no go) and now using witchhazel. It hasn’t fixed the problem but it hasn’t worsened but thought l might give the colloidal silver a try. I have changed his diet to as no sugar as much as possible and prepare his evening meal with fresh meat and rice. What else would you suggest? The vet has suggested he go on prednisone but having tried that once with little success and some major unpleasant side effects l am reluctant to agree. Help us please! Love your site. Just what the Doctor ordered! 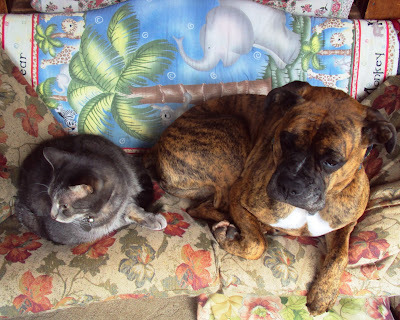 I was wondering what you thought of Raw Grass Fed Cows Milk for the dogs and cats? We got Our pup a week and a half ago for a rescue organization in Colorado that rescues from high kill shelters. He was transported from Texas to Colorado. They said he had a few fleas and was treated with Frontline before we got him. I would not have used frontline, I prefer natural alternatives. Right away I could tell he had a yeasty smell, he was constantly itchy, scratching, licking and even vomiting some. I took him to the vet right away and she said he had a yeast infection in both ears and food allergies. I discontinued the kibble given to us by the rescue place and started making him his own food from grass fed beef. The vet gave him ear drops for the yeast infection. I have been supplementing with organic, grass fed plain yogurt, coconut oil and bone meal (in his beef dinner). We ordered him some Wild Alaskan Salmon oil but it has not arrived yet. Once it does we will start him on that. We are also going to add digestive enzymes to his meals once that package arrives too. I made several huge batches of homemade food using your recipes. So far he does good with beef dinner, ground turkey dinner and wild Alaskan salmon dinner. He is no longer vomiting but he is still itchy, though not as much. The yeast was all gone in one ear and still there a little in the other. The vet wants us to finish the course of ear drops for 3 more days. I ran out of the ear drops, though, so I decided to try the ACV. I prefer natural anyways. This brings us to where we are now. He is finally resting, but I am still really worried about him. Thanks in advance for your help! Your blog has been a wealth of information, and I am so grateful to have found it! Hi Karen, I have a 4 year old mastiff x and she has gotten her first ear infection. I am feeding her presidents choice salmon and potato grain free food. I also mix it with wet food. Some of the brands I use are merricks, GO, party animal (organic, and the one with coconut oil), wild calling (rainbow river grain free) natures variety . Some of the canned food I use has some grains in them but they are healthy grains. I am on disability so I can’t really afford arcana or Orijen like you have suggested in other posts. What is your opinion on the PC grain free? And I was wondering what I should try for her ear infection? Was thinking ACV. Or the oil and garlic remedies. Niina recommended course of action is http://ottawavalleydogwhisperer.ca/diet-nutrition-wellness-plans/ Short of doing this you will continue to waste a lot of money, and your dog’s condition will become chronic. My great pyr x dog has had a chronic pseudomonas ear infection for a year and a half. I’ve tried both allopathic and holistic vets. He’s had food sensitivity testing with no red flags. He’s been on numerous antibiotics and has become resistant to then all. For the past six months he’s been on Carnivora raw goat, elk and rabbit, plus freshly juiced greens, Dr Dobias supplements and sees a chiropractor. The ear has improved slightly but is still painful and oozing. He’s had two ear flushes under sedation and his ear drum is perforated. You state not to use your herbal remedies if ear drum gone so I’m at a loss as to what to do. Am considering total war canal ablation surgery. Joane most of my clients have been to numerous allopathic and holistic veterinarians before engaging my assistance – I would be pleased to assist you via my consultation service – you can email me if you are serious about addressing this. I have a 8 year old English Springer Spaniel that has struggled with yeast type ear infections all its life. 2 years ago he was diagnosed as diabetic, and now get a non yeast ear infection. He has had it off and one for a few months now. Have used the vet recommended drops, as well as a two week course of pills to help clear it up. It does not seem to bother him ( not red or itchy as the yeast infections are) but a green/yellow/brown discharge is present, sometimes this discharge is more of a ear wax consistency, other times it is almost slimy. Which treatment would you suggest I try for his condition? Elizabeth – Treating the ear infection topically is one part of what must be addressed, but doing so will not on its own cure the chronic nature of the infection. Treatment must be comprehensive as it must 1) identify and 2) resolve the root cause – failure to do so will result in re-occurrence and 3) treat the current symptoms. For this you would require consultation in the form of my holistic diet nutrition wellness plans. 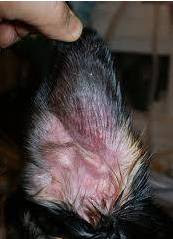 No single topical treatment will cure the infection and BTW the majority of veterinarian prescribed ear infection and cleaning solutions contain toxins and carcinogens. What is the shelf life of the garlic oil? Thanks for the valuable informacion! I am hoping to get some advice please as we are at a loss as to how to help our dog. I have a cocker spaniel that is 11 now. She has had an ear infection for such a long time and it has now become open wound inside the ear. We have been to the vets over the years and have spent an absolute fortune, they have given every antibiotic possible as well as many many other drops etc. They had her in and put her under to have a look deep in the ear and they say we need to spend three to five thousand pounds on an operation! They have sent swabs off to the lab and it came back that it was resistant to ALL antibiotics. I just want to stop the uncomfort for her. Vaccination schedule – are you vaccinating annually? Any other known health issues – chronic conditions etc. After you provide this I can provide you with a cost for putting together a Diet/Wellness Plan. The cost of doing this for you will be between 150.00 and 250.00 Canadian dollars – I can verify the cost after you provide me with the information noted above. Hi Karen- I have an otherwise healthy 8yr indoor cat that has come down w an ear infection that will not go away. She is not vacinated regularly since she is an indoor cat and she has been on grain free Orijen 5 fish for the past several years. I changed her food about 3 weeks ago to Orijen chicken/turkey hoping that would help if she had developed an allergy to the fish. The vet said she had bacterial/yeast infection and we tried 2 dif ear treatments- Animax and Tresaderm. I had a culture done after tx because she is still shaking her head eventhough her ears dont have much debris or look inflamed.I am concerned there might be some inner/middle ear invovlement due to the fact she cant jump on things she could in the past and also gets her chest wet when she drinks water and cant seem to eat food out of her bowl. She is an extremely finicky eater- I have tried to get her to eat a raw diet with no luck…she will starve herself for days if she doesnt like the food and I didnt want it to be a constant battle. I just really want her to feel better, but am at a loss of what to do. My Vet has suggested a diff antibiotic to treat middle ear. Thanks so much for your help. I would be pleased to assist you – I would have to fully address diet and topical treatment with a proper wellness plan and for that you require a consultation. More antibiotics will not resolve the issue and she will simply become further immune to the ABX. I have a 2 1/2 Labradoodle I rescued about six months ago. I had been feeding him Taste of the Wild dog food until today(I just made your homemade dog food, he loved it!) Since getting him, he is up to his goal weight and has made a wonderful transiting into living inside. My issue is he is constantly itching and biting at his skin. He also has been getting yeast infections frequently in his ears. I’m feeling kind of at a loss at this point because I don’t know how to help him. I bath him in a very mild soap about once a month, and try to keep his ears clean. But he is constantly struggling with one or the other, or both. Any advise? He has food allergies and may have environmental allergies as well. Bathing him will not resolve the issue and bathing him with the wrong substances can make his symptoms worse. If the root cause of his allergies are not a) identified, and b) resolved his condition will continue to be a chronic one. Chemical based drugs! – nor should they be used – this includes steroids and non-steroidal anti-inflammatory drugs (topical or ingested) including prednisone – these are very health threatening and DO NOT resolve the root cause. Allergy testing and allergy shots – not required, often ineffective and a big waste of money. If you would like to address this – I would be happy to advise you through my consultation service. I have 6 dogs none of which have ever had an ear infection, but I greatly appreciate the cleaning drops you have posted. They are very welcomed in our home full of rescues. Thank you. Her ear infection has nothing to do with plants believe me. I have analyzed a lot of dog food. Stop treating her ear with the Otic Solution it is garbage. Use the Organic Apple Cider Vinegar and follow the protocol that I give for it above. Only use a few drops – do not fill the ear canal! 3. Get her on a good dry dog food – go with Orijen’s or Acana’s grain-free products. The Aspell will not hurt her ear if you just dab it on but don’t drop any on her ear canal. Colloidal Silver or Grapefruit Seed Extract have more powerful antibiotic , anti-fungal properties than ACV and should not cause ulcer issue. My 11 lbs cat has ear infection and I think I’ll try ACV drops. How much of ACV should I give to him? Should I mix it with dilluted water? Because the article said to mix it. But at your previous comments, it needs pure ACV (no water mixed). I’ve tried the 50/50 solution for a week (twice a day) because there’s small scratch in his ear. And now after I stop the ACV for 2-3 days, the ear wax has reduced a lot, even if it hasn’t gone perfectly. How long should I give the ACV exactly? Because the ear wax is still there (a little). I’m giving him an itchy medicine in these 3 days. It works for stopping him from scratching. My friend said that if the anti-itchy medicine works, it means that the allergy comes from the outside (dust, mites). And if it doesn’t work, it means that he has allergy towards some foods. Did you ever hear about this? Because I haven’t found it in internet. We also can’t depend on the vets here in my city, because they mostly giving wrong diagnoses. Leev – I have no idea what anti-itch medicine you are using nor what is in it, so I can’t comment on the medicine that you are using. I use Acana Dog food. Can you tell me how good that food is…please. And, does it contain GMO products? I have also recently read that the company has had recalls in the past. As far as processed dry dog food goes I would rate Acana and Orijen as being at the upper echelon of available products. All commercial dog food has issues – even the ones that try to pass themselves off as all organic. They all cut corners and include things they should not. As for GMO – go with Acana’s or Orijen’s grain-free products and those that do not contain canola oil. The US and Canadian government continues to approve more GMO – most recently some parts of the US – GMO salmon and some parts of US and Canada GMO Alfalfa. 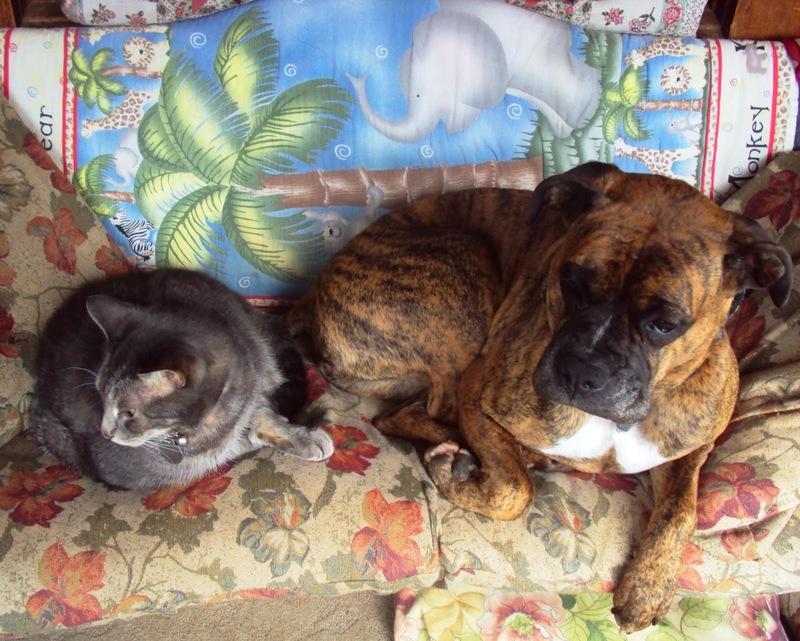 Will those end up in pet food – inevitably. Indirectly most dog food contains GMO’s in one form or another. i.e. ‘mixed tocopherols’ that are usually made from unspecified vegetable oils such as cottonseed, safflower, soy, canola oil. i.e. the chicken, cows etc. (that become the protein source in pet food and human food) are fed GMO corn and soy. I have seen dog food products that claim to be all organic but are not. Or are organic but then include foods that are not species appropriate for dogs. Thank you for the quick response, Karen. It’s a shame the money these companies charge for the better quality dog food, why should we find anything bad in them at all. I’m going to play it on the safe side and make my own organic dog food using only organically grown fruits and veggies, grass feed meats and I’ll use my organic cold pressed oils I use like…Barlean’s flax seed, Garden Of Life Coconut & Cod Liver oils, Barlean’s olive & borage oils. I’m glad I found your website. My beagle only has 11 months and already started with ear infection in both ears. Of course at first I went to the vet and he was on ear ointment for 2 weeks. He finished last week. After he was still having discharge in one of if ear and found a more natural approach which was oil of oregano from OregaPet. He has been on it for a few days and yesterday I noticed that one of his ear is red again and he started scratching a lot. Started the medication again (ointment) this morning because I didn’t know what else to do. I found your website and plan on giving him ACV, I have the organic kind at home. I guess my question is can I start the drops right away even if I gave OregaPet yesterday and medication this morning? I wouldn’t want to cause a reaction in his ears by putting too much different products. Also he has been eating Hills food and I’m currently changing him to Canine Caviar, what do you think about that brand, is it a good one? It’s considered a holistic approach. You can start treating his ear with ACV right away. The fact that he was treated with OregaPet yesterday and medication this morning will not cause an adverse reaction with the ACV. Hills is really bad so it is good that you have taken him off of it. Canine Caviar is much better than Hill’s however it does have some issues…Canine Cavier is messing with the consumer, making the food look better than it really is so that they can increase their profit margin while duping the consumer – like most dog food products :<( Having siad that it is still a decent product but for the price I think you would do just as well if not better feeding Acana or Orijin grain-free products…Acana’s grain free Prarie is a good example, no ethoxyquin, no grains, no wasted money on non-viable probiotics, no alfalfa etc. First – the Omega 3 to Omega 6 fatty acids are not in the correct balance – you will need to supplement your puppies diet with additional Omega 3 fatty acids http://ottawavalleydogwhisperer.blogspot.ca/2012/06/fatty-acids-for-dogs-omega-3-omega-6.html Please note that regardless of the food you choose you will need to supplement with Omega 3 as all commercial dog foods fail to provide the correct ratio. Second – the microbes that Canine Cavier are adding to the food are not viable – you will need to add viable probiotics. I would suggest you add the real thing http://ottawavalleydogwhisperer.blogspot.ca/2013/07/dairy-products-cheese-kefir-yogurt-are.html or purchase a supplement from Dr. Mercola (on-line) as most off-the shelf probiotic supplements are garbage. Third – Alfalfa is high-up on the ingredient list. Alfalfa is a cheap source of protein and lacks the amino acids that are found in species appropriate protein. Dog food manufacturers add alfalfa when they are short changing the product on quality protein. Canine Cavier is pushing their product as something much better than it really is and they are relying on the consumer to fall for their ‘hot-button’ words knowing that the average consumer will not pick-up on the short cuts being made to increase profit at the expense of truly good nutrition. Thanks Karen! Hope the ACV works, I started yesterday, twice a day, will see how it goes. His ear is really red. As for the food, the same store that sells Canine Caviar where I live has Acana. I just started with the CC last week, after what I just learned I think I’m going to switch him right away to Acana. Karen, does it usually take long after starting the ACV for the brown discharge to stop? I’ve been using it twice a day and I’m on my 3rd day. I wipe his ear first and then put the ACV and let it dry. If the infection is advanced it can take a week or more. Also the root cause (diet – grain) needs to be removed and the GI tract needs time to re-balance. The discharge is caused by on overgrowth of bacteria in the GI tract due to food allergies, so while you are using the ACV, the bacteria bloom in the GI tract also needs time to recede. Double the dosage of yogurt and get her away from grains in her diet right away so that the root cause of the ear infection is also treated. Get some witch hazel (you will find it in the pharmacy in the aisle with bandages and disinfectants. After treating her ear with ACV, put some witch hazel on a cotton swab and gently swipe around the exposed portion of the inside of the ear. This will help sooth the skin. I have a Himalayan cat that suffers from chronic ear infections caused by yeast from food allergies. Can you recommend a good brand of cat food. My 10 year old cockapoo has had ear infections her whole lie but not so severe as some that I have read on your site. She did have an allergic reaction to a flea bite and she got dermatitis in April and its now July and she still has a few spots that haven’t stop scabbing over. Acana ‘Grasslands’ would be a good example of a grain-free, chemical preservative-free food. Thank you so much for this information. I love the use of home remedies. My Grandmother past down cures that the Cherokee Indians used. If you can trim the fur around their ears it would help as the mites like moist humid environments – trimming the hair will allow better air circulation. I just want to comment real quick (and not be a silent follower), and tell you how thrilled and relieved I am to have found you last night! I spent 5 hours poring over your blog and another couple of hours tonight! My dog is an 11 year old pit mix. She has an ear and eye infection. She also chewed her paw raw a few days ago which is what spurred me on this hunt for a solution. She suffers from fatty deposits on her body as well. I am 100% for home remedies and am so relieved and thrilled to have found you. I immediately used the iodine and water soak for her paw and have already seen improvement. I will be switching her food as soon as possible to a grain free diet. Tomorrow night I will be getting some organic apple cider vinegar and a dropper to help with her ears. I am now looking on your blog for an eye infection remedy. I felt so awful that I couldn’t afford to take my dog to the vet to get taken care of. Thank you so much for what you do! For her eye you can dilute some of the organic acv 50/50 with distilled water and flush her eye out with it. As you do not have ACV at the moment if you do have some green tea, rooibos tea, camomile tea or calendula tea you can brew one of those, let it cool, then take a cotton swab and clean her eye with it 2 or 3 times a day. The ACV drops in her eye will need to be done twice a day. 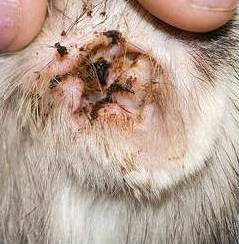 I have two male dogs with bad ear infections..It is caused by mites. The treatment I bought at the store does not work. They are miserable.I am going try the Organic Apple Cider Vinegar & Distilled Water. I live very far away from the Vet and also it is very expensive. I hope for relief. My other dog does not have this problem but her ears aren’t floppy. Should I trim the hair around the male dogs ears? What are his known allergens? You note ‘but I don’t know if we will ever get to what is causing them’ Do you mean you have eliminated the items that he tested sensitive too, from his diet and he still has ear infections? What are you know feeding him? Yes I eliminated his known allergies, and for right now I am feeding Nature’s Variety Limited Ingredient. His food allergies are, chicken, corn, oats, beets, potatoes, sweet potatoes and yeast. I’m not at all surprised by the first three, but I have fed him a grain free diet most of his life, and guess what was in just about every food (potatoes!) and when I didn’t feed potatoes I was feeding chicken. His ears are doing MUCH better after a few days treatment of ACV! I just wish the problem wouldn’t keep coming up. Regarding the re-occurrence of the ear infection – unfortunately http://www.naturesvariety.com/Instinct/dog/kibble/LIDturkey contains some items that can actually help to cause systematic problems which is a problem for a dog whose immune system is already under assault. The 4th ingredient is non-organic canola oil – not good for your dog;s health at all :<( Read about the third ingredient ‘Tapioca’ and Canola in this article http://ottawavalleydogwhisperer.blogspot.ca/2013/05/is-prescription-dog-cat-food-sold-in.html. Nature’s Variety does contain some good ingredients but by the time the food has undergone the high-heat processing it must go through to form the kibble the value of those items (i.e. the coconut oil) is rendered near nil. As well they cook the meat twice – at high temps which triggers the development of carcinogenic compounds in the meat. You can use my homemade dog-food recipe but don’t include chicken – instead use turkey. Don’t use sweet potato – instead use squash or pumpkin.If you think he is allergic to lentils, but he is not allergic to cottage cheese, replace lentils with cottage cheese. Is he allergic to eggs? If yes than get some food grade organic bone meal to use in place of the crushed eggshell. My 5 pound yorkshire terrier who is almost 3 years old has been suffering from an ear infection and has been walking in circles. I took her to the vet and they said she had ear mites and gave me some ear drops as well as antibiotics. After the treatment she was fine and was even walking straight. Three or so weeks later she started to walk in circles again and it looks like the infection was back. I took her to the vet again and they gave her yearly rabies vaccinated and about two weeks after Luna got conjunctivitis and walking in circles even more so and seems like she can’t see and her pupils are dilated. She definitely had a reaction to the vaccine and I would rather treat her holistically. Any advise on what I could give her? She’s on a raw diet now and I’m wondering if there is anything else I could be doing? Thank so much for very possibly saving my cat’s life. He will be 19 in July and is so terrified of vet offices that I have to treat him at home from now on. He has had an ear infection for some time; I took a swab to a vet and it was confirmed that he has a yeast infection in both ears. The anti-fungal medication that was prescribed actually made him ill so I started searching for safe, effective methods that I could help him with. Because his ears were so sore from the meds, it has taken over a week to transition to ACV and water. I did flush his ears with a basic ear cleaning solution, then used green tea a few times in an attempt to soothe them, but the medication had made his ears so sore that it was a slow process. This morning he was nearly frantic – the pain and itch were overwhelming him. It was clear that it was time for ACV, even if it might sting a bit. I mixed 1 part natural ACV with 2 parts water and just flooded his ears – after all that he has been through, I knew that a few drops would be out in seconds. He wasn’t happy, but I managed to get enough in that I could hear it “squish” as I rubbed his sore little ears. I checked on them a few times during the day but they were still too sensitive to touch. Now – only 12 hours later!! – he not only lets me rub his ears, but is coming to me to have me rub them!! Another “flood” tonight and then I’ll switch to a more moderate dose. He’s feeling better than he has in months!! I’ve used ACV since the ’70s when my Mom told me that she had read about the great healing qualities of this simple old stuff. I’ve used it for so many things that I’ve lost track, but it has always achieved the desired results. Thank you again for reassuring me that it is safe for healing a sick kitty’s ears. Make sure you eliminate all toxins and carcinogens from his diet as these unwanted items compromise his immune systems ability to naturally fight off infection. These are just a few of things that you should introduce to his diet to help him naturally fight and no-grain included food. Thank you so much, Karen. I will look at his diet carefully and start working on easing him into a healthier one. Your suggestions are wonderful and simple to implement. He is very healthy for his age but I know that I have to improve what he eats. I’ve recently changed my dogs’ food to no-grain and can already see the difference. Thanks so much – you have a wonderful site and your help is truly appreciated. I have a Diabetic cat (treated with insulin) who has recurrent bacterial ear infections. The infections create havoc with her blood glucose. I’ve been using a commercial ear cleaner to try to keep the infections at bay, but it isn’t working. Do you think the ACV would be a good treatment for her? Should I use it daily? I’m really desparate. 2.0 Remedy the root cause of the infection or it will continue to occur. .1 Stop using the Commercial ear cleaner – most of them are chemical-based and are a) ineffective and b)full of carcinogens and toxins – which enter the blood stream through the skin c) are expensive. There are some herbal/homeopathic ones that are fine. .2 Use straight, undiluted organic apples cider vinegar twice a day until the infection clears up and then use it once a day for at least a few weeks. See the article above for details on how to use it. The most common cause of chronic ear infections in dogs and cats is DIET! .1 Get your cat off of any food or treats that include any type of grain. Allergy to grains are the #1 cause of chronic yeast infections – (Candida), your cat has candida. Fish, Fish Meal and Ethoxyquin – Danger, Do You Really Want This in Your Dog and Cat Food? I’m sooo glad finding this page through random search. It seems like you also have lots of other information – which will be very helpful for me since I’m a beginner dog owner who wants to care everyone in the family in natural/ basic way. 2. Fix his diet – this is the long-term maintenance portion of the solution = the remedy. a) DO not water down the ACV with water! Use the ACV pure, un-diluted. b) DO NOT heat/warm the ACV up, just use it at room temperature. Use a dropper to apply it to your dog’s ear. Put some drops on the inner flap making sure all You can use a cotton ball to apply the ACV to the inner flap of the ear and then use a dropper to apply the ACV to the ear canal – don;t stick the dropper into the canal, but just at the opening of the canal. c) As soon as you place the drops in your dog’s ear, massage the ear at the base and then let him/her shake her head. d) Apply the ACV twice a day until you see the inflammation completely recede. e) Once the inflammation is under control continue to apply the ACV once-a-day. f) Allow the ACV to dry on/in her ear do not dry it off with cotton swabs etc. b) Boost his immune system. c) SO absolutely NO GRAINS of any kind in his diet from now on! d) Go to my articles on nutrition and read through them to understand how to boost his immune system. .. Thank you for this wonderful informative page. Can you please advise if you have information or experience on using the Organic Apple Cider Vinegar for chronic yeast /bacteria infections in domestic rabbits ears? The infection is considered a middle ear infection but is like an abscess and lump, the Vet also stated my rabbits ear drum was perforated from the pressure of the pus. After months of antibiotics and treatments I feel her immune system has been compromised, she is however going to be 13 in May and also has developed arthritis. Her 3 different labs came back with a heavy growth of Malassezia yeast /and budding yeast, with a light trace of other bacteria on 2 of the reports. 4) gently rub it again set the surface of the ear. 1)Pellets that are primarily alfalfa? 2) Pellets or commercially manufactured rabbit treats that have any of the following ingredients – nuts,seeds, grains, flour or other starches,sweeteners of any kind, artificial food colouring, yogurt covered, etc? If you are get her off of the food ASAP! Thank you so much for the response, I am sorry that I missed it. I will send you an email shortly, your rabbits and website are both beautiful! – The resulting slury should be thick but not so thick that you cannot get it out of a syringe. – Then syringe feed once or twice a day. She needs the good bacteria in her system boosted to help her fight the bad bacteria. Especially as the cipo will kill all bacteria – good and bad which will make the infection worse. when doing the garlic oil do you HAVE to store it in an amber brown or blue storage bottle? 1) Get the intensity of the infection – inflammation – under control. 2) Fix her diet – this is the long-term maintenance portion of the solution = the remedy. 1) STOP using white vinegar it will do nothing to stop the inflammation and may make conditions worse! 1a)Instead use ORGANIC, NON-PASTURIZED, UNFILTERED apple cider vinegar (ACV) available at health and natural food stores, or stores such as Trader Joe’s if you are in the USA. The manufacture ‘Bragg’ produces the most commonly available organic ACV in North America. DO NOT use non-organic,pasteurized, filtered ACV such as Heinz manufactures – it will not be effective. 1b) DO not water down the ACV with water! Use the ACV pure, un-diluted. 1c) DO NOT heat/warm the ACV up, just use it at room temperature. Use a dropper to apply it to your dog’s ear. Put some drops on the inner flap making sure all You can use a cotton ball to apply the ACV to the inner flap of the ear and then use a dropper to apply the ACV to the ear canal – don;t stick the dropper into the canal, but just at the opening of the canal. 1d) As soon as you place the drops in your dog’s ear, massage the ear at the base and then let her shake her head. 1e) Apply the ACV twice a day until you see the inflammation completely recede. 1d) Once the inflammation is under control continue to apply the ACV once-a-day. 1f) Allow the ACV to dry on/in her ear do not dry it off with cotton swabs etc. 2a) You have to fix her diet and boost her immune system. The trigger for her chronic ear infection is likely a food sensitivity – probably to grains and most certainly if there is any sugar in her food. Food sensitivity so often causes overgrowth of bad bacteria (candida)in the dogs GI Tract which then results in leaky gut syndrome and nasty yeast infections! 2b) I can’t stress enough how important it is for her to be on a grain-free diet. You need to do this ASAP. 2c)Make absolutely 100% sure that there is no sugar or molasses (and for that matter any artificial sweeteners) in her diet. 2d) Boost her IMMUNE SYSTEM ASAP! 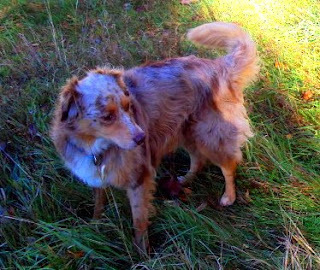 She needs good flora restored to her GI Tract immediately so her internal system can battle the candida. 5. 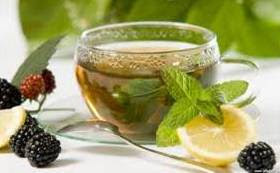 How to use the tea topically to treat skin disorders due to allergies. This is music to my ears my dog has constant ear infections as well as ear mites. Thank you for the wealth of information as well as the weight chart!!! Omega-3 and Omega-6 fatty acids are very important for the overall health of a dog. Conversely a lack of good-source omega fatty acids can create many health issues, from allergies to cancer, fur and skin problems, heart disease and many other problems as you will see further below. This is wonderful information. Thank you so much.